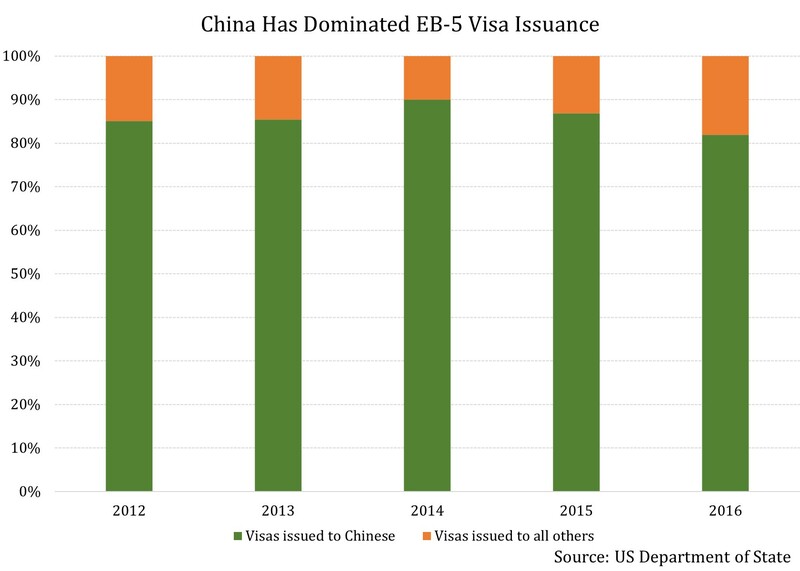 The graph below illustrates the unrivaled dominance of investors from mainland China when it comes to EB-5 visas granted in the US. This also explains why Kushner Companies and many other major developers pitch projects anchored on EB-5 qualification – an aspect we had explored in the previous article. 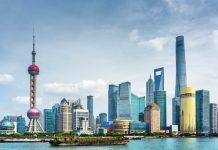 Investors from China have been by far the largest participants of the EB-5 visa in the past five years. On average, 85% of all such visas granted in the past five years have been to investors born in mainland China as shown in the graph below. Asian countries in general have been the biggest beneficiaries of the program. 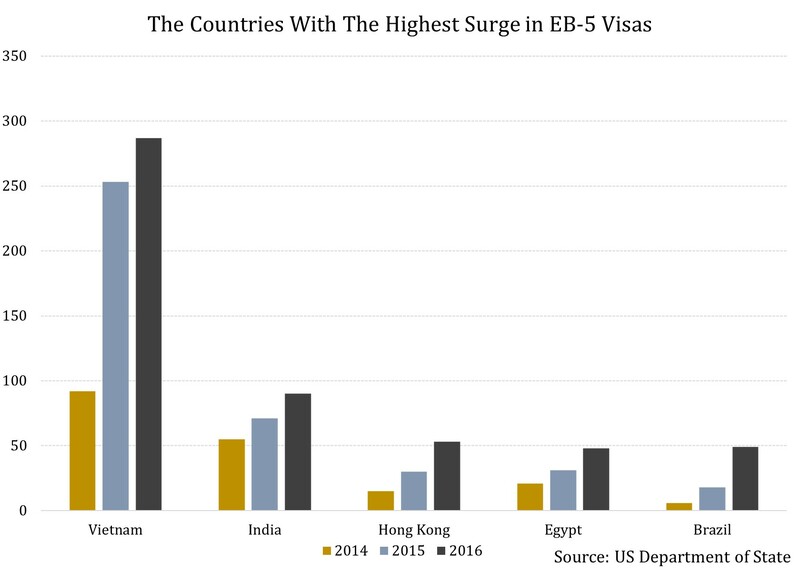 From 2012 until 2014, four of the top five nations in terms of the number of EB-5 visas granted were from Asia. In the last two years, the top five list is comprised of only Asian nations. 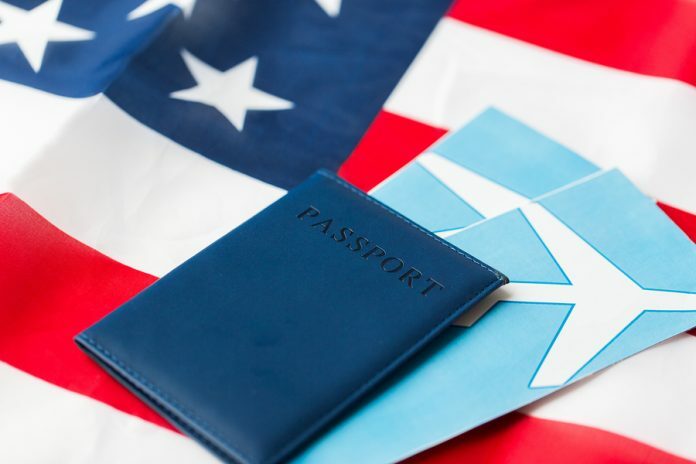 Investors and high net-worth individuals from mainland China, South Korea, and Taiwan have consistently figured among the top three nations to have been granted this visa. 2016 was a slight anomaly as Taiwan slipped to the fourth spot. 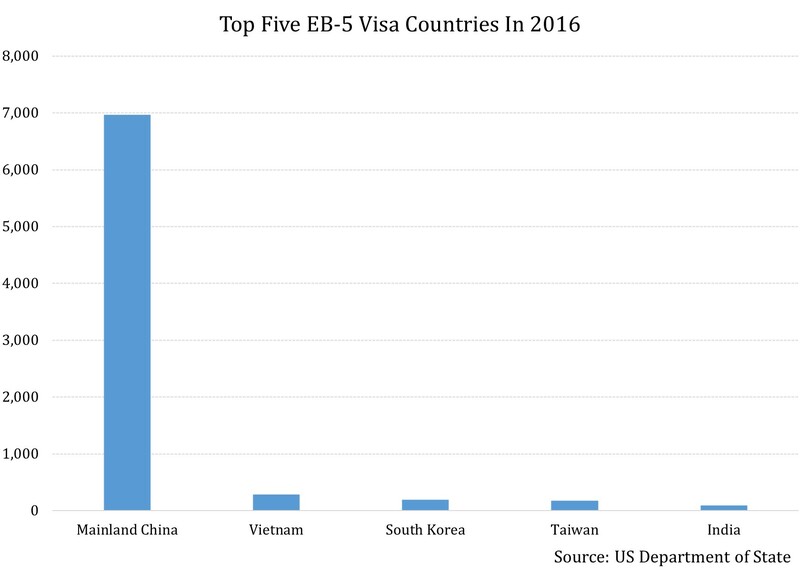 Investors from Vietnam, India, and Hong Kong have been making a beeline for the EB-5 visa. All three countries have seen a marked surge in visas granted over the past two years. Among non-Asian nations, a similar trend is seen for successful applicants from Egypt and Brazil, as shown in the graph below. Iran was a permanent feature in the top five from 2012 until 2014, but has seen consistent dips in the past two years. Only 28 visas were granted to Iranians in 2016 compared to a five-year peak of 82 in 2013. A similar trend is visible for Japan to which only 25 visas were granted last year, down sharply from a peak of 70 in 2013. 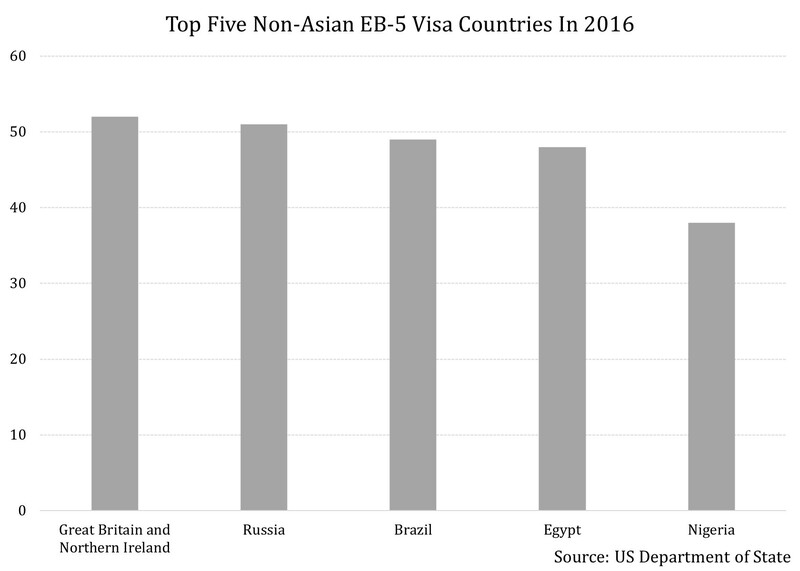 The highest placed non-Asian region to receive the EB-5 visa in 2016 was Great Britain and Northern Ireland, which ranked seventh. 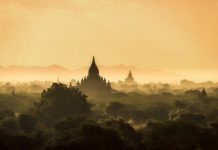 After a marked dip in 2014, when only 25 visas were granted to citizens from the region, the number has more than doubled in the succeeding two years. Russia, Brazil, and Egypt follow closely.